Having to navigate retail checkouts and the well-intentioned efforts of various staff to improve the customer experience by building rapport can be extremely tiresome at times. I had a dreadful experience last week at a retail outlet that I won’t name to save some embarrassment: I was having a perfectly nice time with a junior staff member but we got to a point where he couldn’t help me further. He told me what he could do, told me what he couldn’t do. This was fair enough but I must have looked a bit dissatisfied so he called his manager in who’d obviously just graduated from some questionable customer experience training. She sat me down, offered me coffee, tried every trick in the book to build rapport and we wasted 10 minutes going absolutely nowhere. She wasted my precious time all for the sake of trying (and failing) to build some sort of relationship with me. The fact is that most customer service approaches are targeted at the extroverted customer or client. Whether the focus is to build simple rapport or to sell, there are questions, questions and more questions. These questions are often a strange mix of the superficial and intrusive. I think: Why should I tell you about my weekend? What’s it to you? Extroverts naturally respond to this approach: they engage and allow the service provider to build rapport, but introverts – who make up 30-50% of the population – find these interactions energy draining. They get their energy from solitude rather than superficial interaction and therefore pose a genuine challenge: how can you give introverts a great customer experience if they are unwilling to engage? Whilst some brands may specifically target the extrovert market, the majority can’t afford to ignore the introverts. Both broader CX programs and skills training need to consider customers as a mix of introverts and extroverts. In many ways, the last 20 years have been wonderful for introverts. The growth of internet-based technologies has given introverts the chance to bypass the superficial rapport building they hate and to engage with service providers on their own impersonal terms. In addition to websites, therefore, savvy retailers offer in-store informational portals and self-service check-outs. Beyond the online experience, however, individual service providers also need to learn how they can better adapt their approach to customers, depending on whether they are introverted or extroverted. Identify the introvert: how do they respond to that first question? One of the most difficult tasks is to identify introverts. It isn’t about volume or expressiveness, or even whether they initiate an interaction. It’s more about how they prefer to interact. Whilst it is possible to make some assumptions here, it is also a minefield: introverts can be expressive, and may also be direct and initiate conversations – that doesn’t mean they are interested in superficial chit-chat. Service providers also don’t get the chance to observe people in detail before interacting so the first real chance to assess where they might be on the introvert/extrovert scale is to see how they respond to (an) initial question(s). Introverts won’t mind you asking a simple opening question. That’s fine. They will, however, get frustrated if you don’t take the hint and keep trying to build superficial personal/social rapport ad nauseum. Extroverts are more likely to respond positively to personal or social questions such as “How was your weekend?” “How’s your day going? They engage and respond because they too want to build rapport quickly. They will answer your question and then ask one back in return. Fantastic – rapport building success. With extroverts, a failure to engage with them on a personal or social level can lead to a rapport deficit and a poor customer experience. Introverts don’t like this approach – they might begrudgingly play the game but their heart isn’t in it. They might even cut it short with non-engaging “Yeah, fine”. 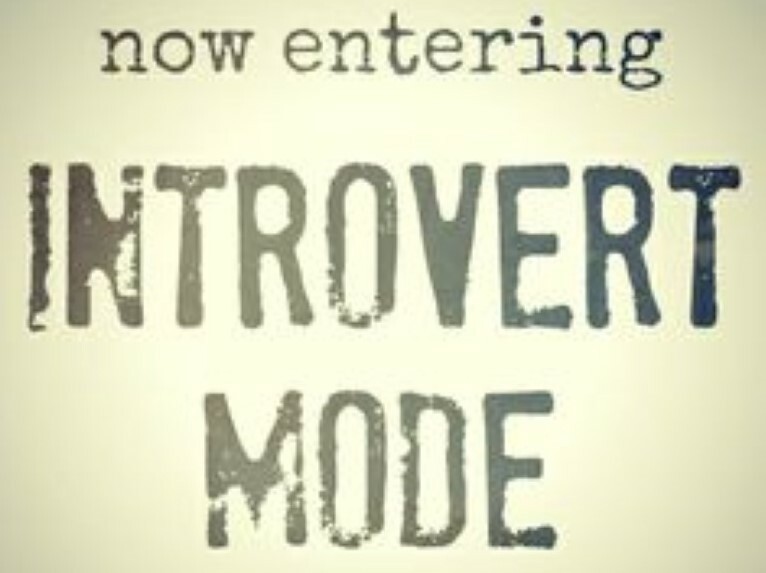 Introverts prefer to get to the point without the superficial chit-chat. A simple “Can I help you at all”, “Would you like some more information”, or even just eye contact and a relaxed smile gives them choice and allows them to ask substantive questions or engage if they want to. They are in control and they like that. Extroverts might be slightly disappointed with this sort of approach – it might seem like the service provider is trying to get down to business too quickly without having earned the right through the personal/social rapport building. However you open the conversation, the most important thing is then to see how they respond. Do they engage? Do they increase the energy with a positive, interested response or are they dismissive and reluctant? Do they engage on a personal/social level, or do they focus on something more substantive? A perceptive service provider should therefore be able to tell from the initial interactions if they are dealing with more of an introvert or an extrovert. If you suspect your customer is more introverted than extroverted, a good strategy is to focus on substantive issues rather than social chit-chat. It isn’t that introverts don’t value or like building rapport – there is research to suggest that they need rapport more and build deeper rapport than extroverts. The difference is that introverts build rapport slower and do this through more meaningful substantive discussions. Service providers should therefore either look to get down to business with introverts – discussing the practical considerations of their offering – or alternatively let the customer lead on another topic. Try to avoid wasting their time with either constant interruptions or superficial conversation. With just a little bit of practice, you will find that your interpretation of the opening interaction is accurate and can help you engage with the customer in the way they prefer. They key is to consciously pause for a second to reflect on that first interaction and assess how best to proceed. Turn off your autopilot for a second and set a new course as required.